Explanation: The star cluster in RCW38 was hiding. 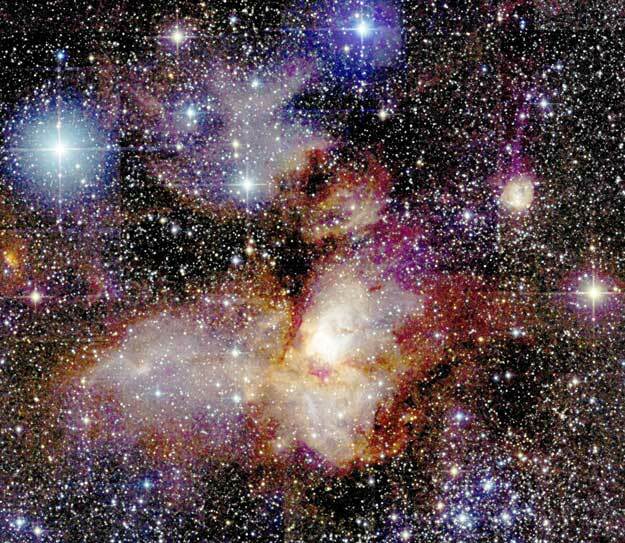 Looking at the star forming region RCW38 will not normally reveal most of the stars in this cluster. The reason is that the open cluster is so young that it is still shrouded in thick dust that absorbs visible light. This dust typically accompanies the gas that condenses to form young stars. When viewed in infrared light, however, many stars in RCW38 are revealed, because dust is less effective at absorbing infrared light. 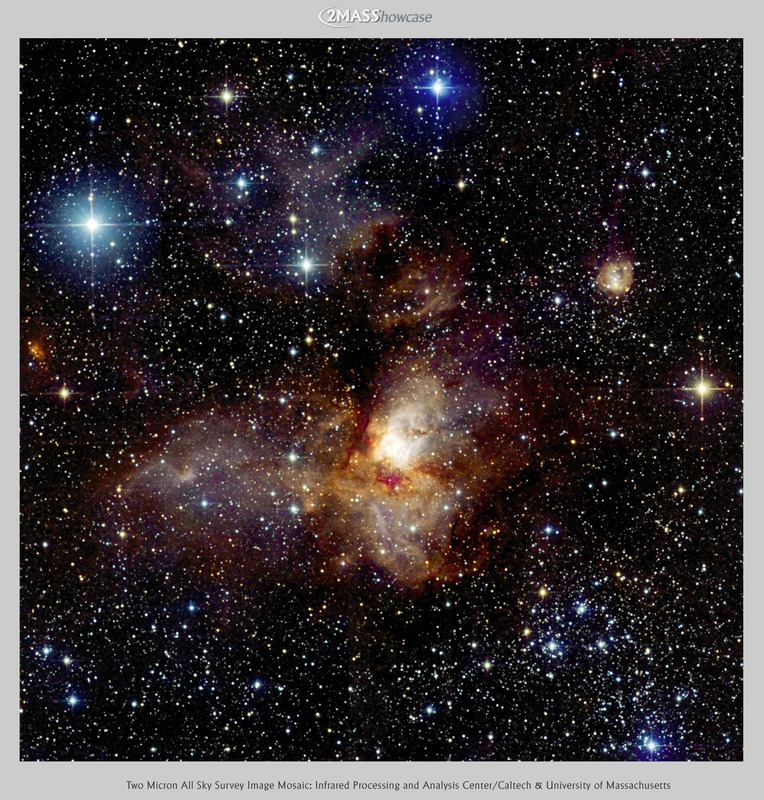 The above representative-color image mosaic of RCW38 taken by the 2MASS sky survey in infrared light shows not only many bright blue stars from the star cluster but clouds of brightly emitting gas and dramatic lanes of dark dust. RCW38 spans about 10 light-years and is located about 5500 light years away towards the constellation of Vela.